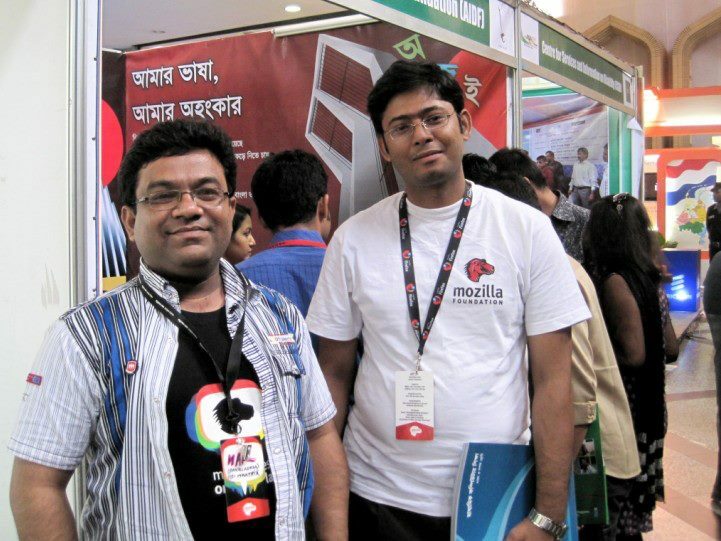 I attended eASiA 2011 with Internet Society (ISOC) Bangladesh Dhaka Chapter and serving lighting talk about ISOC, Mozilla and open source. Many visitors and participants of eAsia2011 were interested to know more about open source projects, how they might be any use. Some of them are surprised to know that Firefox is a open source project despite they are using Firefox everyday. As a Mozilla Reps from Bangladesh, I try to give them the glimpse of ongoing Mozilla projects and technology. The whole day i give lighting talks in different groups. On 3rd December 2011, when preaching to the university students about Mozilla, a interview was taken instantly by aNIK Khan, Host of "Young Nite". Young Nite is a Socio-Political Talk Show with Bangladeshi Youth from all possible sectors. A performance by an young talented performer at the end of every show.and popular among teen. i talk about Mozilla projects, how people can get involved with Mozilla projects, contributor engagement programs, our past events (Soft launch of Mozilla Bangladesh Community), proposed upcoming programs (Hackfest, programming contests). Mozilla Firefox badge, mozillareps.org website is highlighted with my name and designation. Among the listeners, a lady's feedback is added after my conversation with the host. i'd like to take a moment to thank you to Mr. Kazi Nazmul Alam Taposh, Executive Producer, ATN News, for the time out of his busy day for me to allocate the news feed (which is now uploaded @ youtube). The Mozilla interview later featured by ATN News - "Young Nite" program at [10th December, Friday night: 1:15am] Bangladesh Time and [10th December, Sat noon: 1:15pm] Bangladesh Time. Host by aNIK KHAN. Subtitle: No subtitle available now.